The Óptica Óptima group of opticians was formed in 2002 with a mission to take great care of its customers’ eyesight. 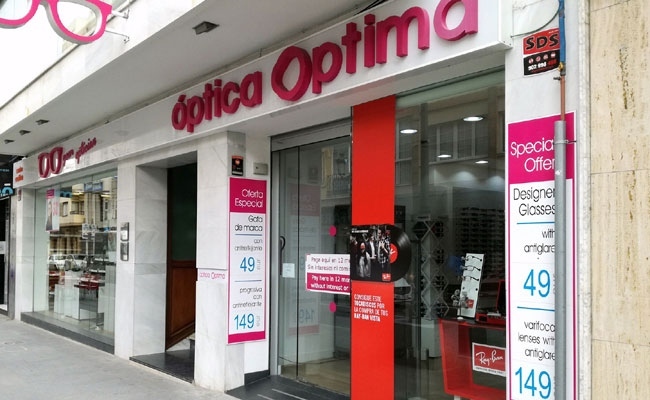 We have more than 15 opticians in Alicante and Murcia, with expert staff supplying reliable products. You can be sure you are in good hands. We are ready to take care of your eyesight and fashion needs, with an extensive range of products, lenses, frames and accessories. With the individual attention that you deserve. Optimal Optic es un grupo de ópticas ubicadas en La Marina, San Fulgencio, Gran Alacant, Catral, Rojales, Torrevieja, Almoradí, Orihuela Costa y Guardamar.